This whole plot line was an excuse to draw Classic Amy. Updates are more than likely going to slow down tremendously.. For starters, my interest in this project are waning rapidly.. might pick up again when the good part hits, which will be soon, hopefully. Secondly, I'm going to be starting college in a few weeks, and that will likely zap all energy out of me completely. But stay tuned, I'm not going anywhere, and I'll try to power through as much as I can! If is worth a thing Im loving this comic even before the "good" parts start, but take all the time you need, also good luck at the college. aw poor Amy maybe she is just looking in the wrong places ^^ anyway good luck with collage ! 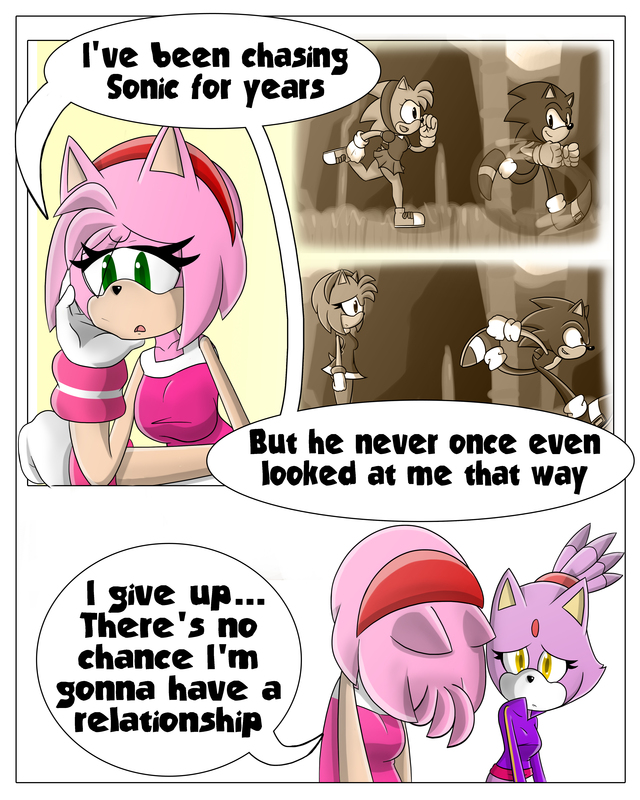 I hope Amy can get Sonic to pay attention to her.